It would make sure that everyone’s fundamental needs were met; it would get rid of poverty traps where if people choose to work more they would lose their benefits and actually earn less, while allowing people into low paid jobs by supplementing their income; it would remunerate voluntary work, care work, child care, and other work that currently goes unpaid for. It would simplify the complex array of benefits including pensions, tax allowances, working tax credits, child benefit and social security payments into a simpler and cheaper to administrate umbrella. It would significantly alleviate stress – which has been called the biggest killer of our time – if people knew that even if they lost their jobs they wouldn’t go hungry. It would encourage entrepreneurship by giving people the security of being able to take the risk of becoming self-employed, or give people the opportunity to take time out to retrain. It would remove the stigma that people on welfare are parasites because everyone was receiving the same treatment. Perhaps it would still yield problems and abusers, but those already exist to a large degree under the present system. 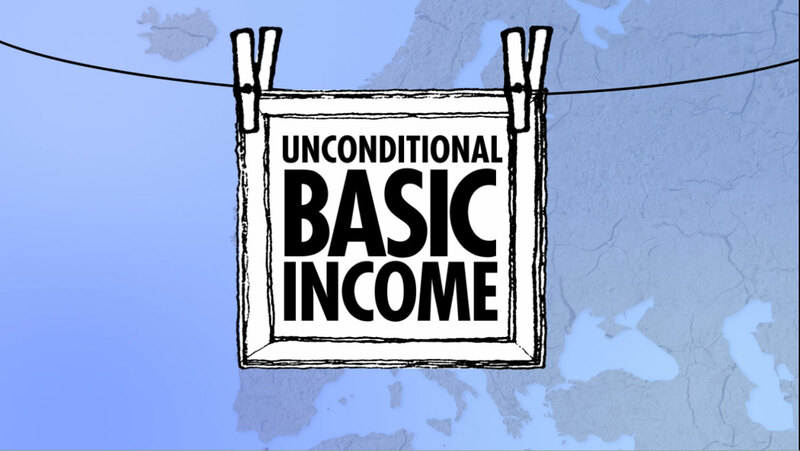 Certainly, if the basic income scheme is economically affordable, it might prove to have many benefits over the currently existing system. It might have unintended consequences as well. Perhaps employers would simply see it as a subsidy of workers and lower wages. Perhaps immediate price inflation would result from more cash in peoples hands without an equivalent increase in the number of goods and services available, making the basic income itself worth far less – or even worthless. Perhaps much of the work that is being done at present simply wouldn’t get done owing to people living a subsistence life on their basic incomes – bear in mind that we benefit from most of the luxuries we enjoy today because previous generations built the infrastructure to leave them to us. The market selects for producers providing popular services, and while many people will certainly still do productive things while not being paid for them, many of them might not necessarily be things that benefit others – leaving those who are still producing things that others actually want to part with money for with an ever growing tax burden and less and less incentive to continue. Perhaps the scheme will grow and grow in cost until it becomes unsustainable, and at a point where more people than ever are dependent upon it and have no skills to make a living for themselves once it collapses. People do respond to economic incentives and change their behaviour once government policies change, and perhaps some of those changes would be negative – but what I would like to discuss is not whether we should have adopt a basic income scheme or not, but why – after 250 years of unprecedented economic growth – we still even need one. Why is the cost of living so high? We tend to see inflation as an inevitable fact of life, like rain, death or taxes, but interestingly the price of all goods in America came down by 20% between the late 1700s and 1913 – just as our iPhones and laptops come down in price year after year today. What happened to reverse this trend? America instituted The Federal Reserve, their central bank, with the power to print money at will and then lend that money to the government. The law of supply and demand applies just as much to money as it does to everything else, and whenever a central bank prints more of it the value of the rest goes down. Between 1914 and 2015 the dollar declined in value by 96%. Now, we have a similar economy to America in many ways, and we have our own central bank – The Bank of England – which has the power to print money at will and sell it to our government at a profit; it’s really quite hard to conceive of how much higher living standards would be in this country if our paper money was worth 25 times what it is now. This tendency to print drives everyone’s savings into the stock market and housing, as people cannot avoid inflation with a bank account, increasing the cost of property in relation to first time buyers. Add to that the fact that for 50 years or more the central banks have priced interest rates below their market value, making property a lucrative investment rather than something people buy to live in. In the UK house prices rose by 4255% between 1971 and 2011 due to these statist interventions, along with the numerous regulations and restrictions on the use of land and buildings, such as planning and zoning laws, landlord registration, building codes, height restrictions, greenbelt policies, stamp duty, and HMO licencing which limits the number of unrelated people who can share a flat. All of these factors push house prices – and the cost of renting or a mortgage – skyward. So we are staring at the unassailable fact that in the absence of government intervention into the banking system and housing market our money would be worth more, while the cost of living would be far cheaper. Add to that note the point that the average working person pays anything from 36 to 48% of their income on various taxes, and we reach the unavoidable conclusion that the largest burden on our living standards is government. Our money being worth up to 25 times what it is now; our costs of accommodation perhaps as little as a 40th of what they are at present; and our tax burdens significantly lower… not only would we have far more resources to serve the poor and needy in this country, but the costs of providing them with accommodation and the necessities of life would frankly be a pittance in comparison to what they are now. The basic income may well bandage over the bruises of society left by the soaring costs of living – and there are arguments for it and against. However, if we want a long term solution that will last, one that involves less government control rather than more, we need to tackle the undue influence of the central banks on our economy. Most Western countries give between 0.5 and 2% of GDP in charity, with America by far being the most generous. With more money in our pockets this figure would surely rise, and with the government out of money and banking no one need worry about receiving a basic income from the state, because the cost of living would be so cheap you wouldn’t need a full time job to cover it. 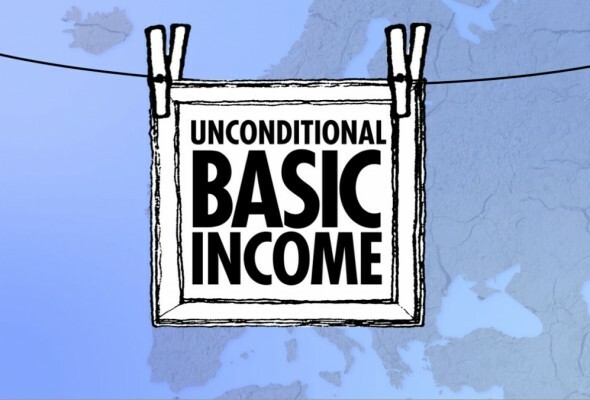 6 Comments on "We Shouldn’t Even Need a Basic Income to Meet Everyones Needs!" With the greatest of respect, the above is like driving up to someone pulled over on the side of the road with a flat tyre and stating quite assuredly… “You’ve got a flat tyre”. In an age when the people need to see real options… when the people need to see there is more out there than the illusion of choice… we owe it to ourselves to present the facts and opportunities. Have you discussed what the private central banks do and at what costs? Have you presented the alternative of interest free transitional currency to break the chains of inflation and employment slavery? You have the chance to show both beneficial information and the economic policy for the party… What say you? Former LPUK and Scottish Libertarian party member living in hope. Why don’t you write an article for us please? I could not agree more with Steve and I wince every time I read Antony’s material. The challenge for me as someone who has dedicated a life to anti-poverty work is that the SLP position on issue of welfare, universal basic income and third world poverty is detached from the lives of real Scots, seems devoid of compassion and is enough of a deal-breaker for me to avoid signing up. I support the notion of Scottish independence, freedom from the European Union and libertarian philosophy but the issue of care for the least in society is my red line. I would wholeheartedly ask you to reconsider… primarily for the sake of freedom and liberty. I guess a lot of unionists would wince at our stance on Independence. I suppose we should ditch that to appease them. I know a lot of conservatives who would wince at our liberal view on narcotics. Let’s ditch that as well. You describe yourself as a believer in Libertarian philosophy. Can I get you to maybe read Libertarian philosophy again. I suggest Hyek, Rothbard, and possibly Rand. Who would stop you continuing your dedication to fighting poverty in a libertarian society? I understand you are prepared to commit violence against peaceceful people to build a hospital. Are you really prepared to use the violence of state to provide libraries and arts centres? No one has the right to live at the expense of another. Taxation is theft. PS. Could you define a ‘ real’ Scot? I’d like to know if I qualify. Is it someone who doesn’t wear pants under their kilt? I agree, the SLP is devoid of any meaningful policy on underwear. Charity: An idea so good it must be implemented at gunpoint!